Cooking With Siri | Recipes, Reviews and Reflections. : RM 2: Vermicelli Pulihora and a winner.. There came a time, he realized, when the strangeness of everything made is increasingly difficult to realize the strangeness of anything. The above lines perfectly depict my current mood...:). I wanna be in 'Shangra-La' today. wondering what I am talking about? Shangra-La is a fictional, mystical valley described in the book - 'Lost Horizon', a book by James Hilton. It contains all of the classic ingredients of paradise. Step 1: In a large sauce pan, boil water and cook vermicelli for couple of mins. Drain the water in a colander and Set aside. Step 2: Heat oil in a wok and add the ingredients listed for 'tampering'. Saute for couple of seconds and then add tamarind pulp. Season with salt and turmeric. Mix well. Step 3: Cook the tamarind mixture for 2-3 minutes in a medium-low flame and finally add cooked vermicelli. Mix the contents well and adjust seasoning if needed. Step 4: Serve hot and it taste better the next day! Click here for the complete MBP roundup! 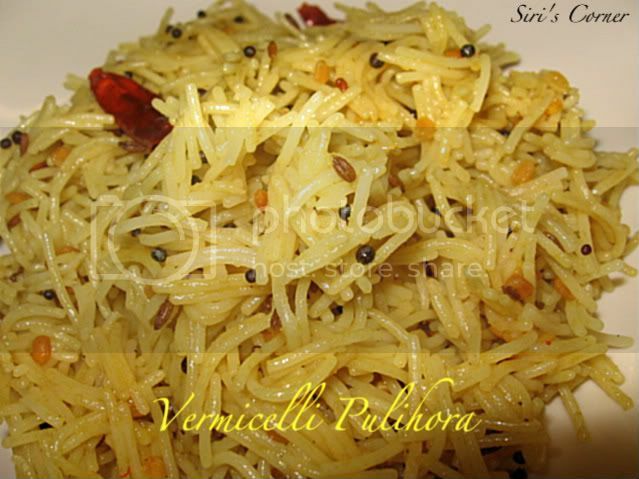 Never tried pulihore with vermicelli, looks nice. Thanks Siri..It was great participating in MBP! Congrats to the winner...awesome roundup Siri..
Yummy vermicelli pulihora..can have them at anytime..
Never to make Pulihora Vermicelli. Good one. Pulihora with semia sounds like a great idea..and congrats to Div for winning the event!! Lovely pulihora and about Shangri-La I could not agree more. That's super easy to make.. and looks great.. must be very delicious. 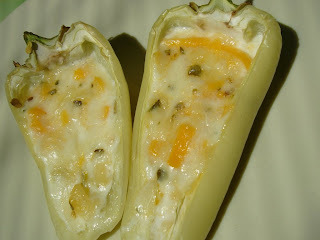 will try this..
Congrates dear, and love the idea of grilling tottilla. very nice click too. I tried ur pulihora today and totally loved it!! :) thx for the recipe.